One year ago six Muslim worshippers Azzedine Soufiane, Khaled Belkacemi, Aboubaker Thabti, Abdelkrim Hassane, Mamadou Tanou Barry and Ibrahima Barry were killed in a tragic and targeted shooting in a Quebec City mosque. Many others were gravely injured. Unifor members across the country shared the pain and disgust about this act of hate and senseless violence. As we approach the anniversary of this tragedy, all members are urged to unite and to take a clear stand against Islamophobia and all forms of racism and oppression. It is through solidarity that we will prevail. As a union, Unifor is committed to inclusiveness and championing human rights for all people, in Canada and abroad. It is a fundamental right to gather to worship, to advocate for equity, to be respected in our jobs and to earn a decent and fair wage. Anything short of this is an affront to our values as a progressive movement. Racism, bigotry, social injustice and exclusion in all its forms are an affront to the values and principles of Unifor. Our union remains committed to continue to work vigilantly against Islamophobia and all hate-based violence in the workplace and the community. 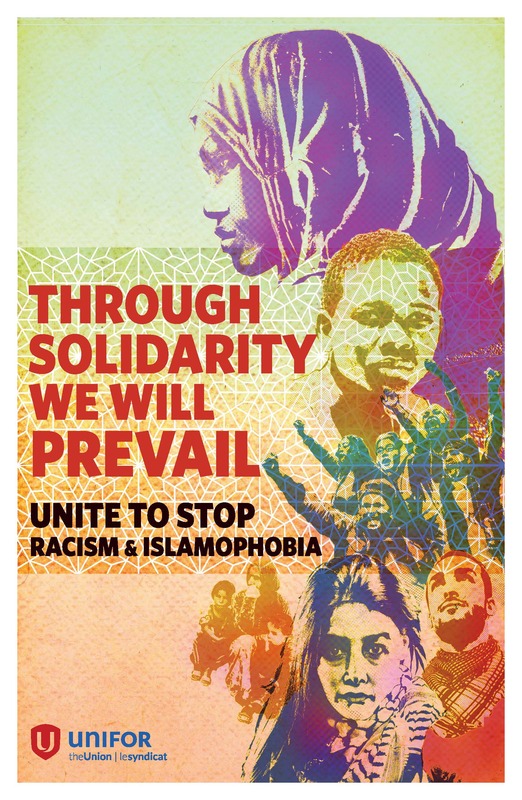 As part of this commitment and wanting to be a leader to end racism and oppression, Unifor will host a multi stakeholder national roundtable on racism and Islamophobia. This important event will be held in advance of the Canadian Council in Halifax on August 15, 2018 to discuss these issues from a workers and workplace perspective. We encourage those individuals, organizations, community allies and employers who share our progressive values and dedication to human rights to consider attending.